Posted by Andrew Whyman under Technology, on 3 January 2017 @ 10:49pm. I recently got my latest BT bill and noticed that my monthly fee had gone back up to normal. I had been enjoying a £10/month discount over the past 12 months as I felt the cost was far too high, complained, and got that offered to me. Well, it had gone back up to £46/month and I am not prepared to pay that much for broadband. BT have put up their prices significantly in the last 2 years and it’s now what I would consider to be unreasonable, so I decided to look at the deals available elsewhere. 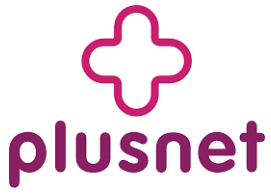 I quickly came across Plusnet, who interestingly are owned by BT themselves. They offer the exact same package I am on now for just £30/month, minus a few things that I never used to use anyway (cloud storage, BT Wifi, free security, etc). I used to use the BT Wifi on occasion, but not nearly enough to warrant the additional £16/month. Comparing with BT for customer satisfaction on Thinkbroadband the scores are better for Plusnet (marginally). I contacted BT via phone and asked if they were able to do anything about it. Would they match or even reduce the fee to approach that of Plusnet? No. What about any kind of discount? No, “nothing available” I was told. OK, fair enough, the guy at the other end can only offer what he’s been told he can. I was disappointed and let them know as much via Twitter. I was a loyal customer of about 5 years and they wouldn’t do anything to keep me. Their loss in the end! 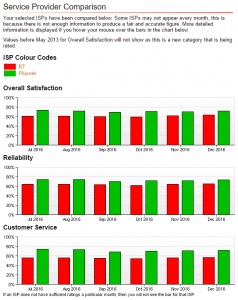 So on to Plusnet – being owned by BT means that I will get the same level of support if there is an issue. The router I’m being sent is basically a re-badged BT Home Hub, so I know that will work just fine. The line speed should not change at all, though this remains to be seen. Best of all, if I want a static IP address, it’s a one off fee of just £5 – something BT were unable to offer at all. All in all, I think I am getting a good deal, but the quality of the connection will be the determining factor. After all, they should use the same back-haul as BT, but it might be segmented and limits put in place. Here’s hoping they don’t. In terms of cost, I’m going to be saving nearly £200 a year with this switch. In this day and age the cost of broadband should not be as high as this as it’s become almost a human right. Sure, you can go with cheaper suppliers such as TalkTalk, but their quality speaks for itself. If you want a connection that actually works, do some research and go with one at an average or higher price. As they say, you get what you pay for.